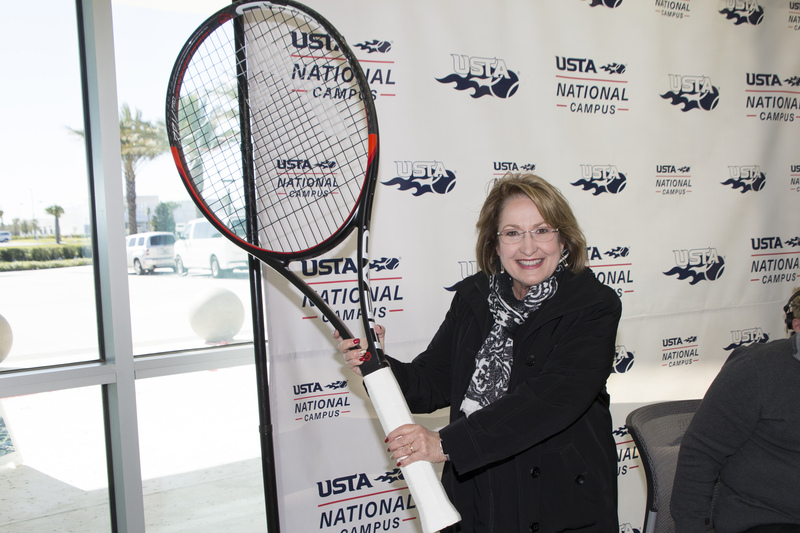 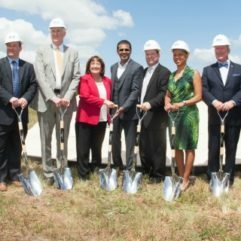 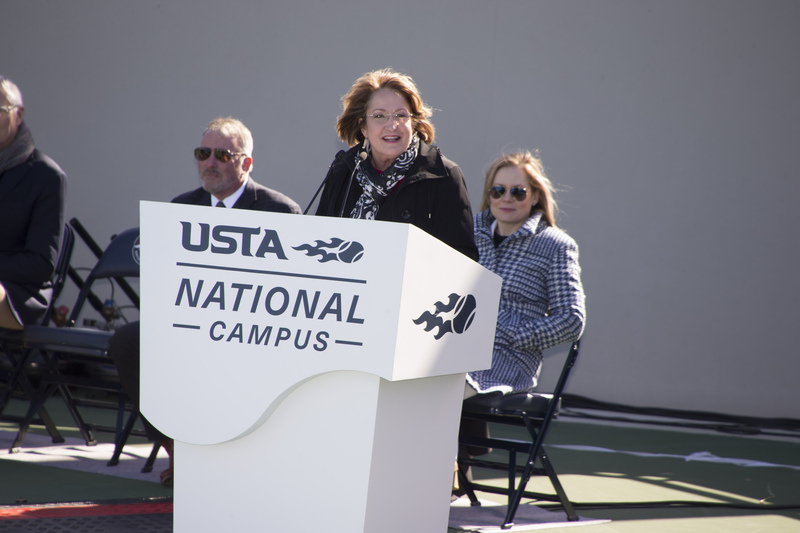 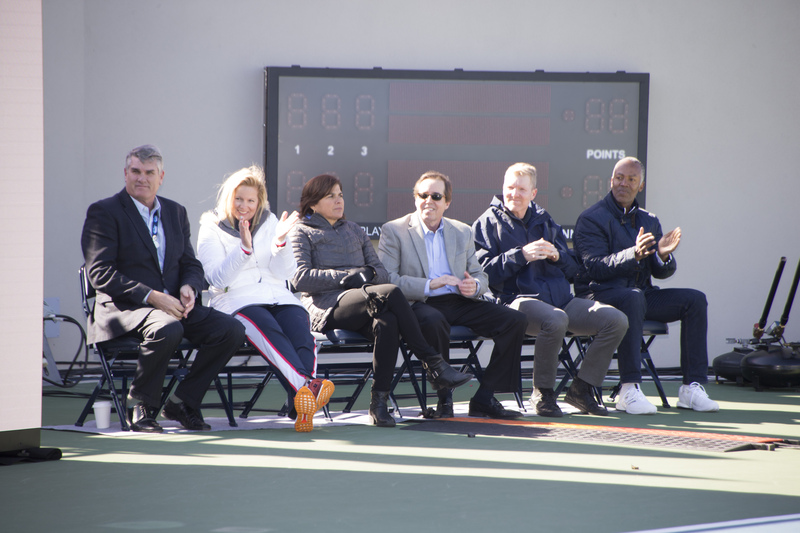 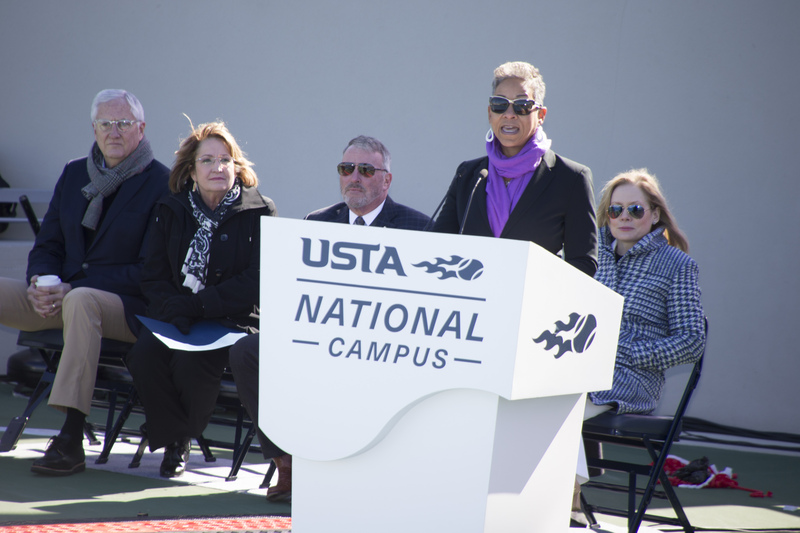 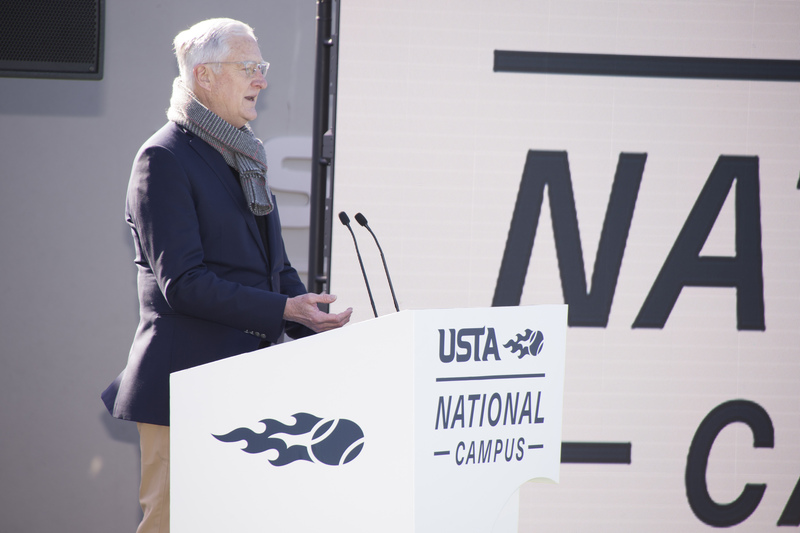 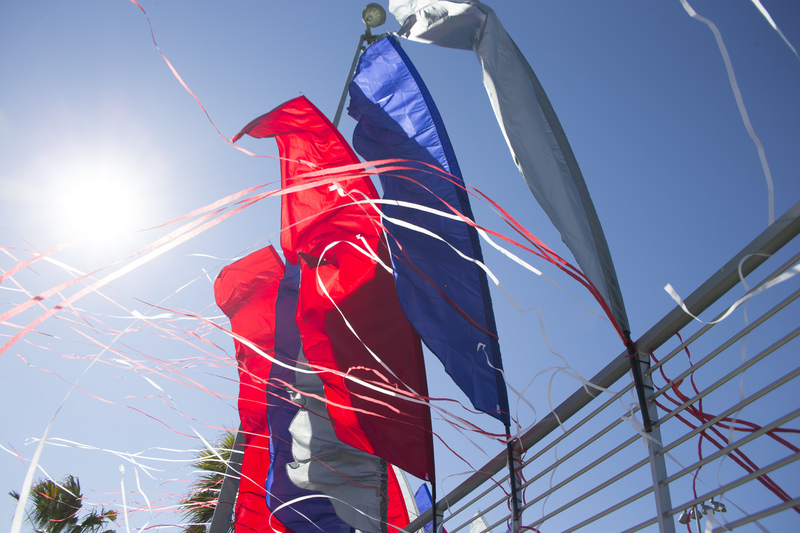 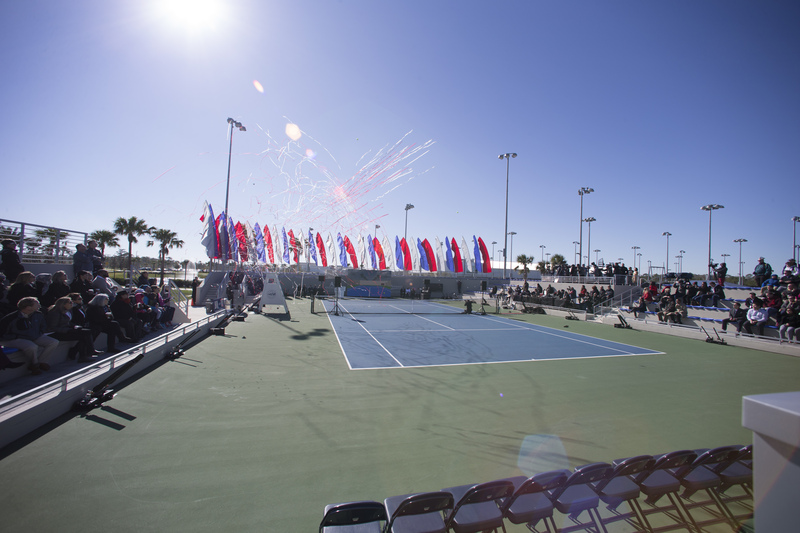 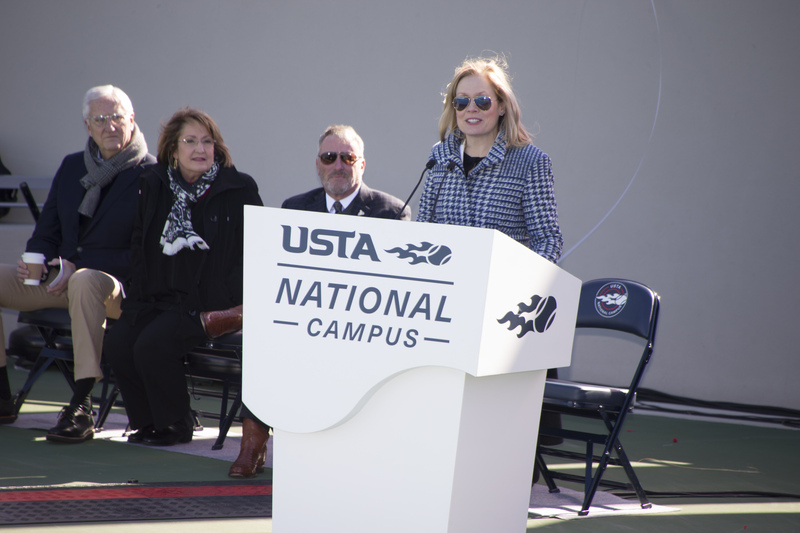 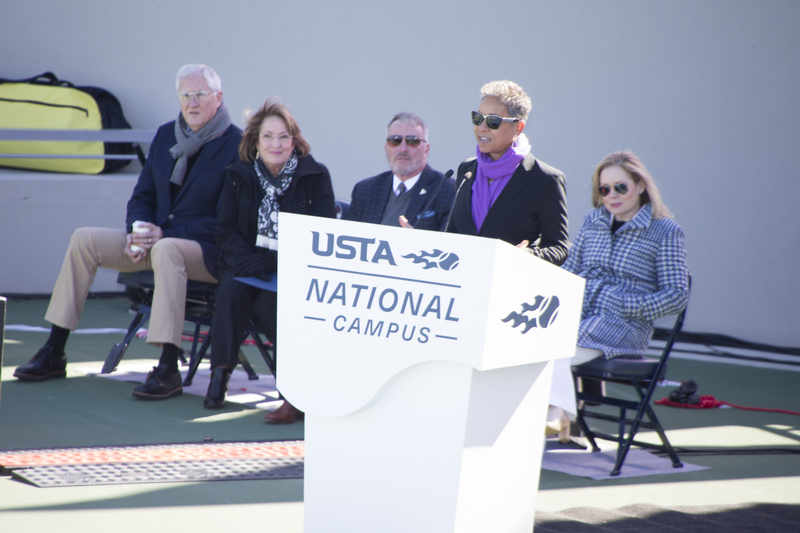 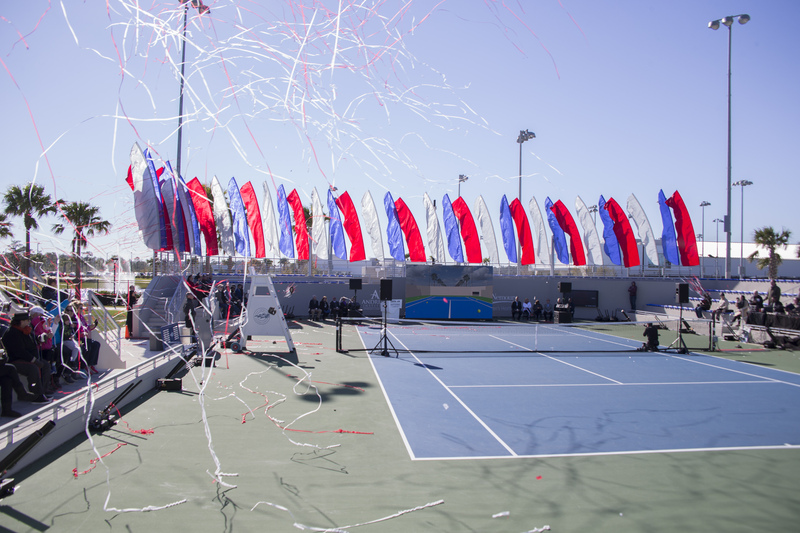 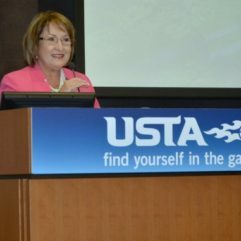 Orange County Mayor Teresa Jacobs joined community leaders and the United States Tennis Association (USTA) on Jan. 4 to celebrate the one-year anniversary of its National Campus in Lake Nona. 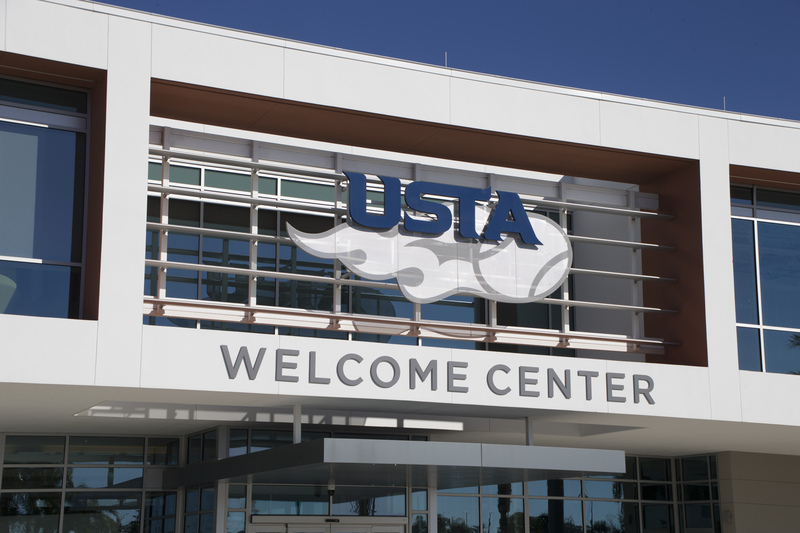 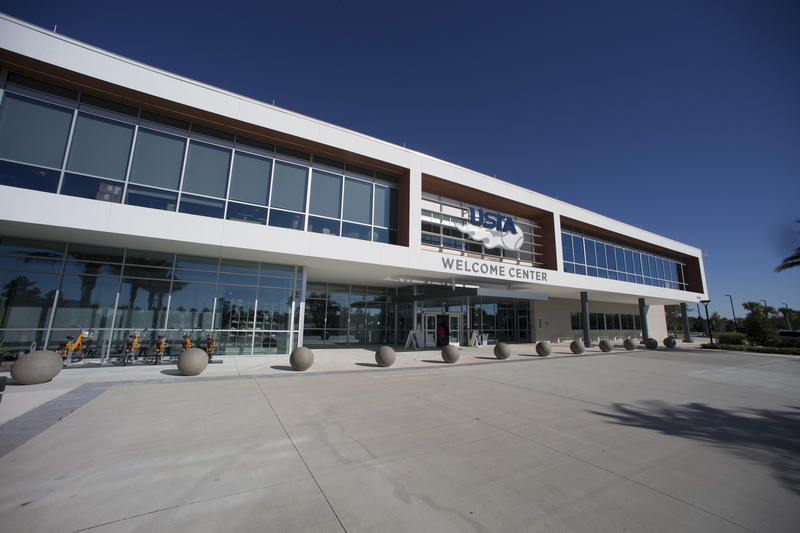 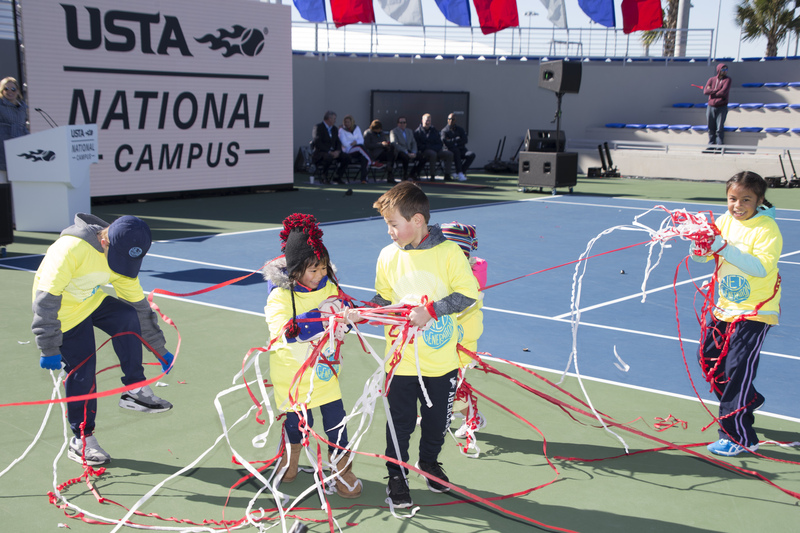 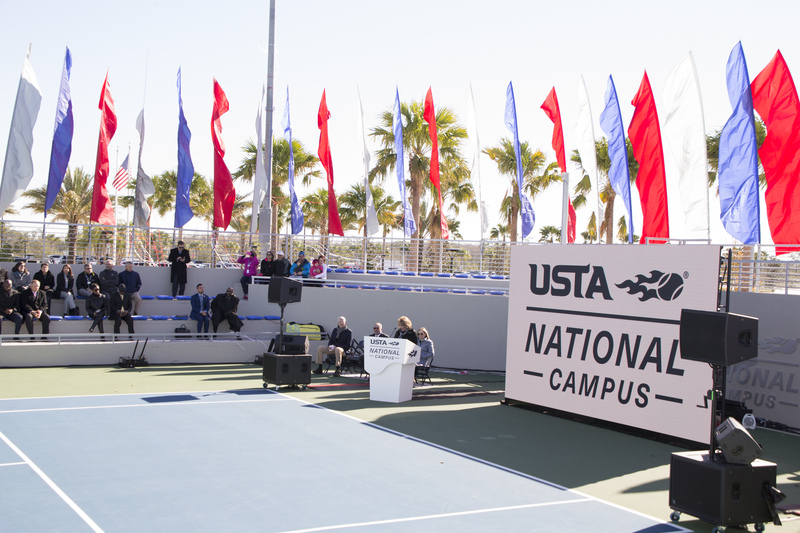 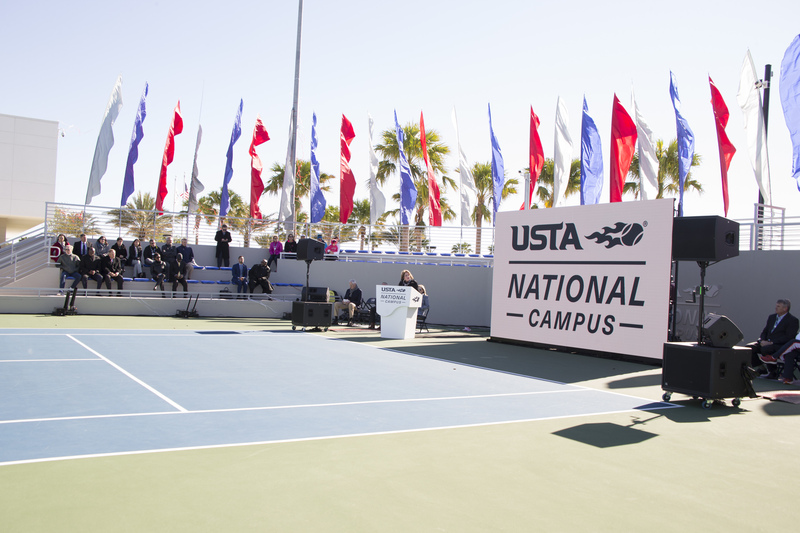 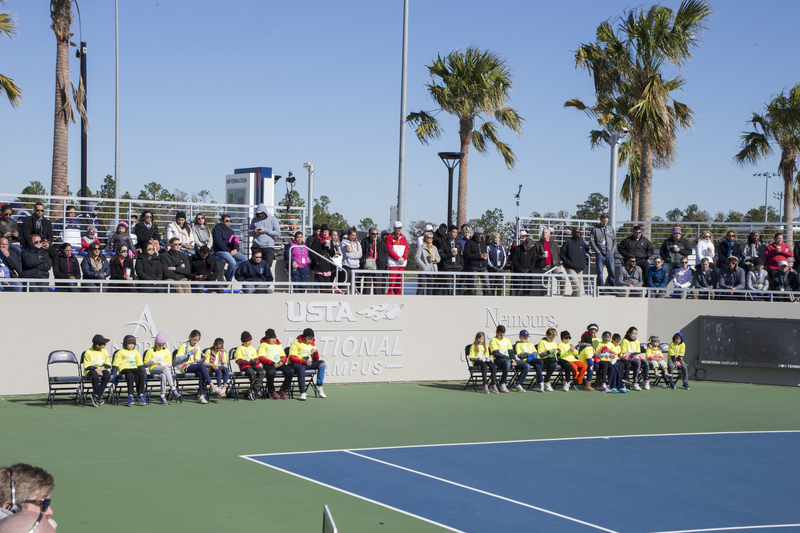 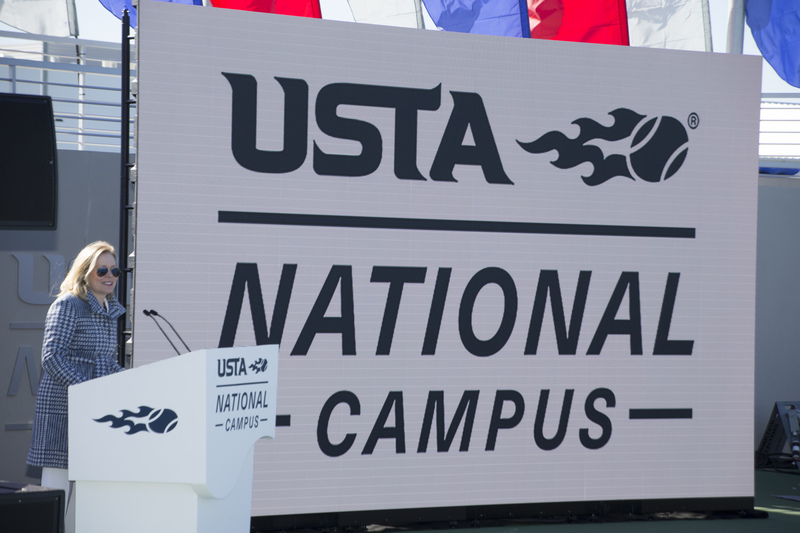 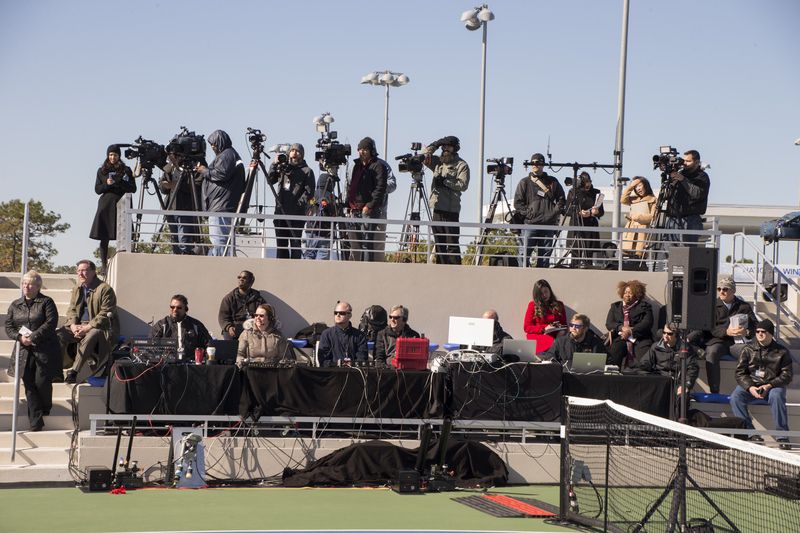 The USTA National Campus, spanning more than 64 acres, is home to the Player Development National Training Headquarters and is one of only three USTA training centers in the nation. 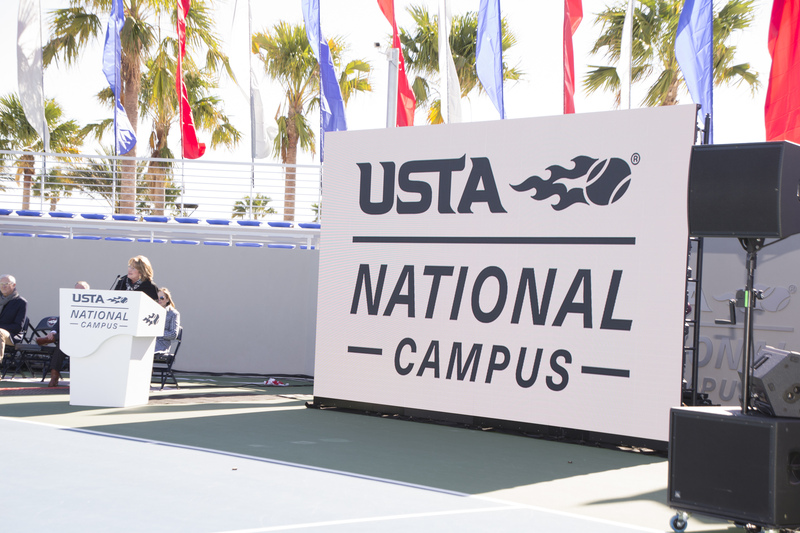 In 2017, the campus hosted 540 pro circuit matches and more than 300 colleges and universities, with nearly 200,000 total attendees. 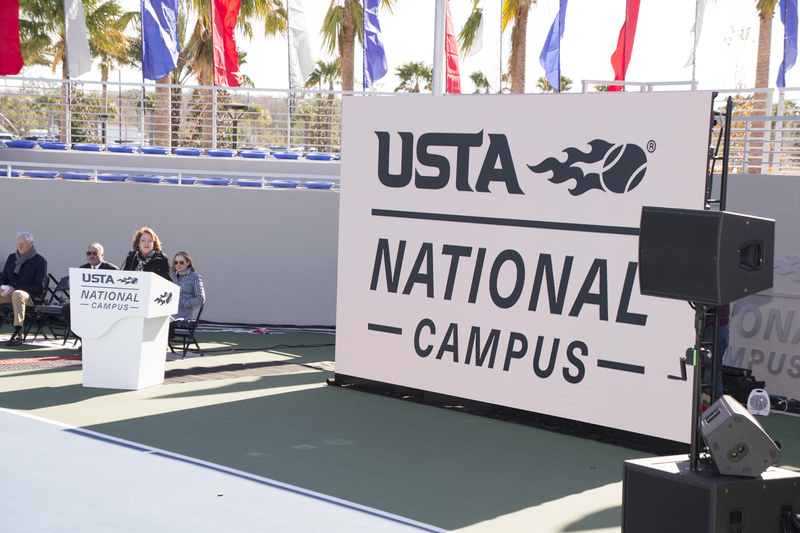 The campus was also named the host site for the NCAA Division I Men’s and Women’s Tennis Championships in 2019 and 2021; and the Division III Championships in 2022. 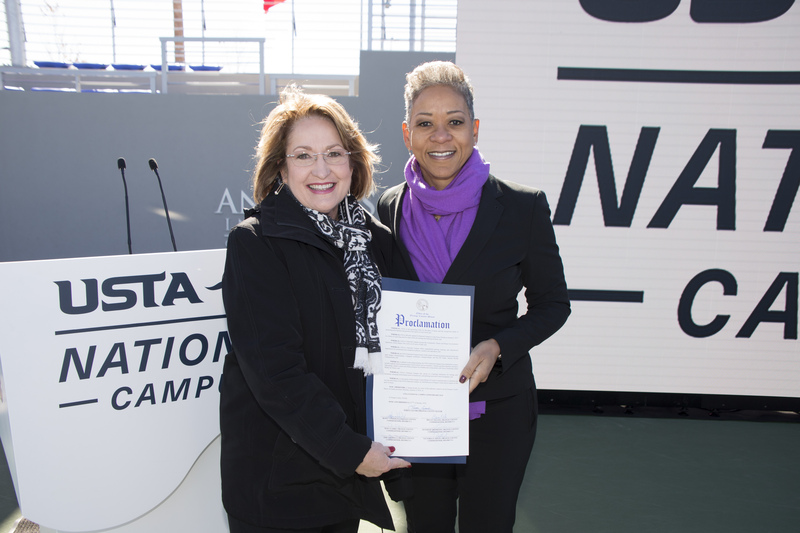 Mayor Jacobs also presented a proclamation in honor of the anniversary, dedicating Thursday, Jan. 4, 2018 as USTA National Campus Anniversary Day in Orange County. 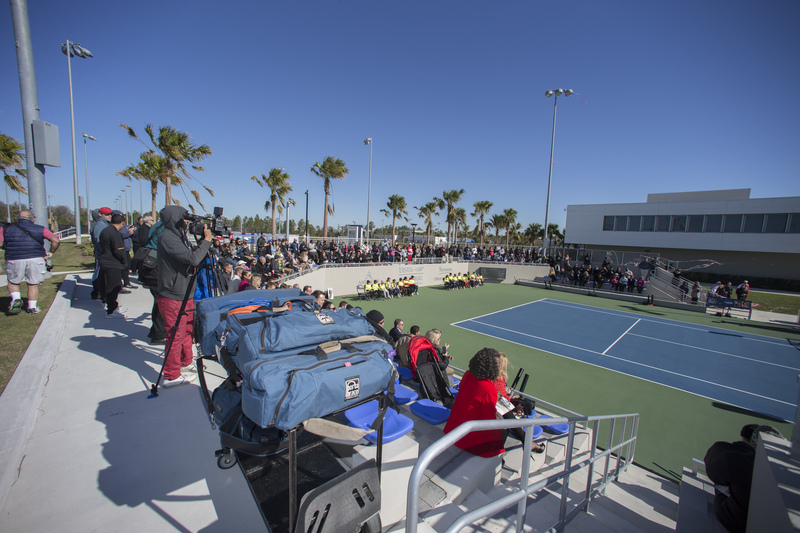 The 100-court facility, which broke ground in spring of 2015 and opened in Jan. 2016, offers tennis and training programs for professional and junior athletes, families, youth, seniors, disabled players and community groups. 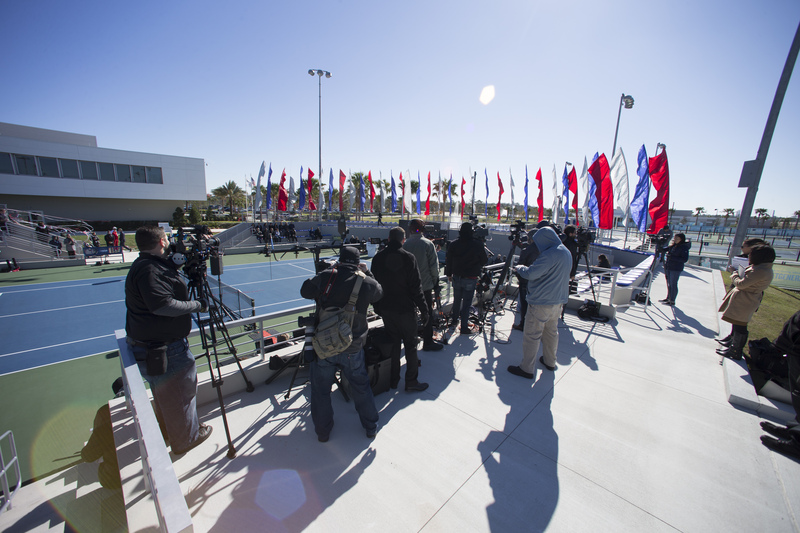 The campus also features two championship courts and 26 PlaySight SmartCourts, which is a state-of-the art sports video and analytics tool. 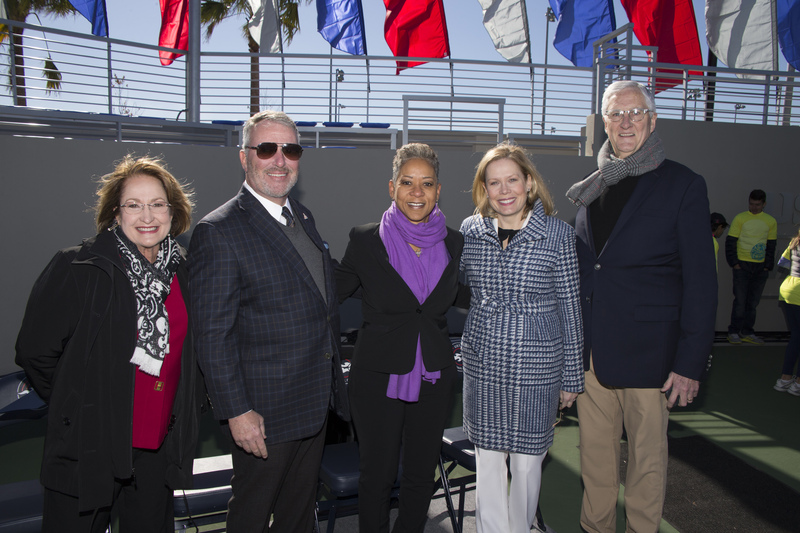 Featured Photo: [L-R] Orange County Mayor Teresa Jacobs, Orlando Mayor Buddy Dyer, USTA Chairman of the Board and President Katrina Adams, ESPN Tennis Host Chris McKendry and USTA CEO and Executive Director Gordon Smith celebrate the one-year anniversary of the USTA National Campus in Lake Nona.